Plains of Eidolon Remaster: Update 24.6.2 was sent to Cert! A brand spanking new Plains of Eidolon with bushes to boot is on its way along with Conservation in the Plains (Floof collectors rejoice! ), and much more. We’ve included everything from PC Hotfix 24.5.2 to 24.6.2.1, which includes the big mama mainline Update 24.6.0, makingthe download size for this update roughly ~2.6 GB. Soon the Plains of Eidolon will receive a suite of improvements, including updated terrain textures, dynamic lighting, richly detailed trees and foliage, as well as a more nuanced day/night cycle. Track and tranq is coming to the Plains! Master Teasonai will be your source for Echo-Lures and Rarity Boosters as you track down, capture and get these animals to safety. Echo-Lures are not required as these animals continually roam the Plains, but calling them will bring them running (or flying!). A new Conservation Badge and Floofs from Master Teasonai await your efforts. 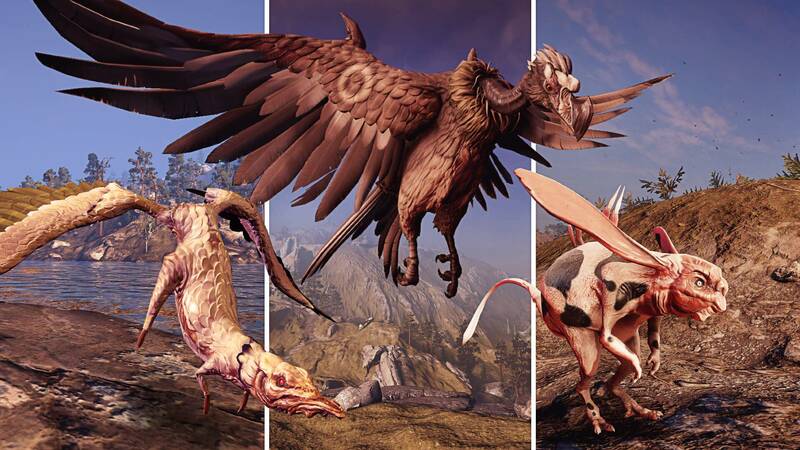 New Kuaka and Condroc variants will also be able to be found throughout the vast Plains of Eidolon! 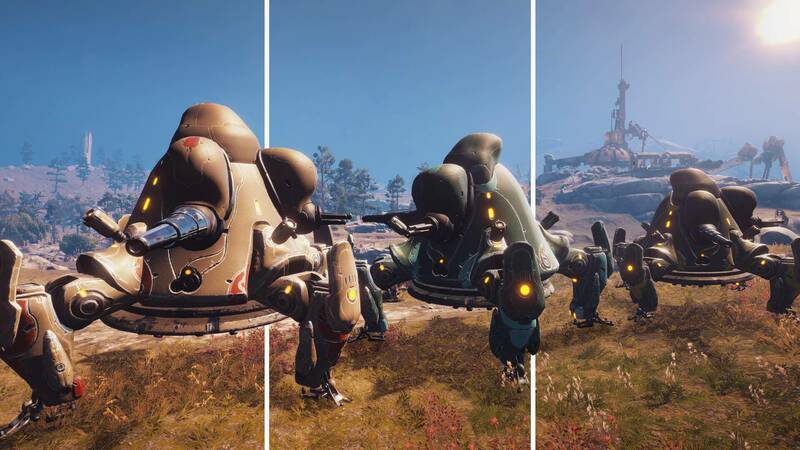 Vay Hek will soon be deploying Tusk Thumpers -- mobile defense platforms that are just as efficient as they are deadly. Be prepared to encounter three menacing Thumpers of increasing size and difficulty. 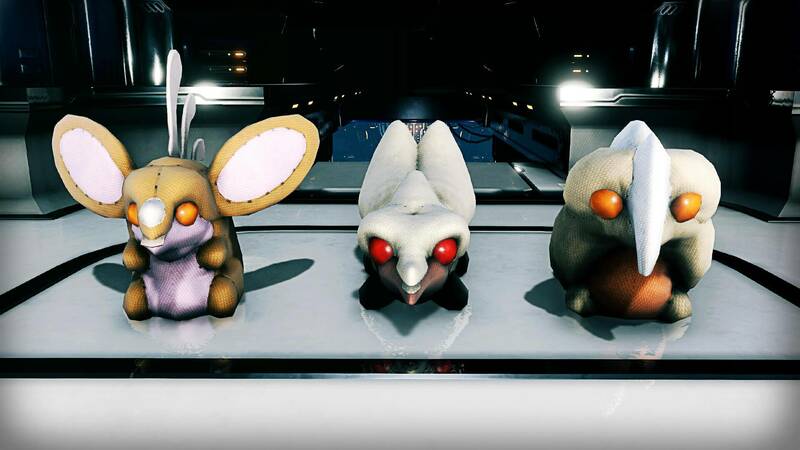 Tusk Thumper Floofs will also be available at Nakak by trading in Resources! Owned Magus, Exodia, and Virtuos Arcane Blueprints will be converted to full-crafted Arcanes. Replaced Bait Blueprints with Baits in Fisher Hai-Luk’s Offerings. This means Baits no longer need to be crafted using other fish parts and can now just be bought outright for Standing. A new Option called "Creator Mode" is coming! This will help players and Content Creators with a simple principle: no distractions, no spoilers. The Lotus will no longer be purple. Fashion Frame just got a little more energetic! A SECONDARY Energy customization slot in the Arsenal is coming! This is simply a free added bonus when Forma'ing gear. All non-Forma compatible goods (Syandanas, Etc) will have this automatically. A Venus Bounty Trap is coming to Ticker’s Secondhand Wares! Tusk and Kuva Fortress Shield Lancers will have a new look for their shield! Players who can handle an increased challenge will soon be able to opt-in to making their Thermia Fracture's more difficult! We have added a method to allow players to increase difficulty and lower the overall duration needed to complete 4 Fractures. Players can expend additional Coolant Canisters after a harvest has begun within the first 30 seconds of starting the harvest. A full breakdown can be found in the “Cannot Cast in the Air: Friend or Foe?” Devworkshop! Whip and Sword slide attacks will do the same damage with a Stance equipped as without. Tatsu: Kills add charges (up to 5 max) that release seeking projectiles (same amount as charges) on slide attacks to stun enemies. Knell: The Knell is now automatic. Tysis: Damage changed from 79 Corrosive to 9 Impact, 23 Puncture, 17 Slash and 81 Corrosive delivered in 3 ticks of 27 each over 2 seconds. Having a ‘signature’ weapon will soon actually have a ‘signature’ effect for your benefit! There are still a few signature weapons that will receive this treatment (Scourge, Hystrix, etc). Knell: Knell will have a 2 round mag when wielded by Harrow. The Tatsu Soul Swarm (Revenant) projectiles have a lifetime of 5 seconds. 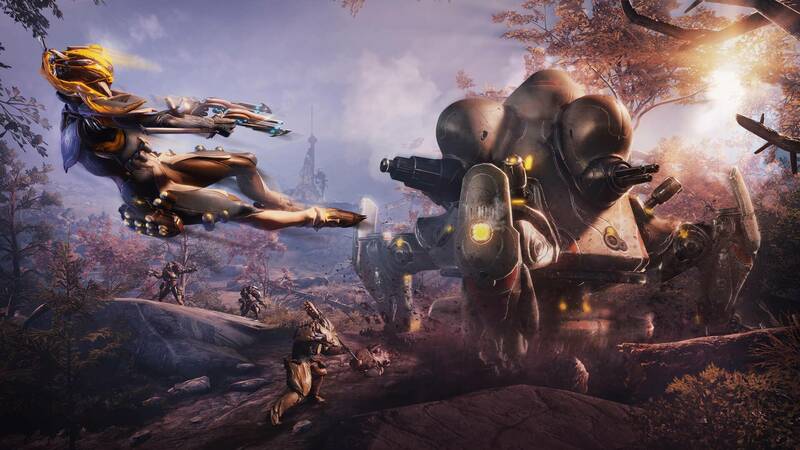 Assassins (Stalker, Wolf of Saturn Six, The Grustrag Three, Zanuka Hunter, etc) will soon scale levels based on player counts, not based on the weapon levels of the target player. The Wolf (and other “stalker” type enemies) will have a level cap of 60 for Solo players and 75 for public squads. All of The Wolf of Saturn Six Nightwave episodes will be viewable by selecting ‘Tune In’ on the Nightwave screen! Common Nora Night Transmissions will be able to be disabled with 'enable hint transmissions' in the Audio Options menu. Reduced frequency of Nora Night Radio Transmissions when in the Orbiter, on menu closing/Fugitive captures, and added a 5 minute cooldown to Nora's UI open transmission. Matchmaking for the Exploiter Orb fight will be available by visiting Eudico in Little Duck’s room! Added the ability to waypoint the Exploiter vents! Polished some animations in the Exploiter Orb vent cinematics. Fixed issues with Coolant Raknoid level scaling being inconsistent. They will all be level 30. Pet Incubator Changes: Pets will soon no longer suffer negative effects from a lack of Loyalty or Integrity! Integrity and Loyalty will be strictly a bonus on top of your Pet’s base Health and Damage. This removes the function of auto-Stasis when Loyalty and Integrity hits 0, at which your Pet will just simply not have a bonus and continue to live peacefully. The Pet Incubator has undergone many changes, and these are small steps in a larger plan to simplify this system for a more streamlined structure. K-Drive Race Affinity has been increased! The Decoration UI will also display a performance warning. Fixed Valkyr’s Hysterical Assault Augment Mod having broken functionality with Melee "Phase 1" due to the removal of Secondary Fire in Melee mode. Aiming + Melee will trigger the leap function while in Hysteria. The World Cycles displayed in the Navigation Window will display time until next Cycle/Temperature. The Plains of Eidolon time phases for Dawn, Sunrise, Morning, Day, Dusk, and Sunset will all be described as Day for clarity. We’ve also removed Freezing state in Orb Vallis, it will be just one long period of Cold. Hildryn will no longer be restricted to move at walking speed when charging Balefire. Selecting ‘X Friend Requests’ in the Active Events drop down will take you to the Pending Friends screen. Aviator and Agility Drift will apply to Titania while she is in Razorwing. Atlas' Passive will prevent him from being affected by abilities and weapons that push or pull (e.g. Terra Embattor Moa mines). Nezha’s Warding Halo Safeguard Augment will take yourself into priority consideration before others. Meaning that Warding Halo will be cast on yourself as opposed to your allies regardless of if you’re aiming at them. Limbo's Banish ability timer will immediately expire if all Banished enemies are killed before the timer counts down. Restored ability to have Baruuk's Desert Wind slam pull enemies instead of pushing them by holding block/aim. Increased the height of the Napalm Grenades Mod damage area. Chesa's new Retrieve functionality will no longer stack with Desecrate and other looting Augments (Pilferdroid/Ore Gaze). This was creating some unintended double dips from a single corpse - the dead can only give so much! Killing enemies with Operator abilities (Void Blast, Void Dash) will grant the kill Affinity to the equipped Amp when possible. You will be able to name/rename weapons that are Polarized, as opposed to the strict Rank 30 requirement. Catchmoon's projectile changed to only collide with world geometry when the center of it hits. Amalgam Mods will no longer be able to be equipped on Exalted weapons. A Forma (per affected Zaw) will be delivered to player Inventories who experienced this issue. Fixed Hildryn not being able to cast Balefire in Aegis Storm. Fixed Targis Prime Armor and TennoCon 2019 Armor not sitting correctly on Hildryn. Fixed the Aviator Mod not always applying the reduced Damage while airborne correctly to Hildryn. Fixed Dispatch Overdrive not applying to Garuda’s Talons when equipped. Fixed Mirage’s Hall of Mirrors clones chasing after the true Mirage when riding a K-Drive. Her clones will instead animate correctly while K-Driving. Fixed Garuda’s Passive reading as 101% when bleeding out. Fixed MOA Companions capable of being targeted by Disarm-style abilities, leaving them with nothing but a head-mounted prod. Fixed Swarm Mutalist spore clouds blocking bullets. 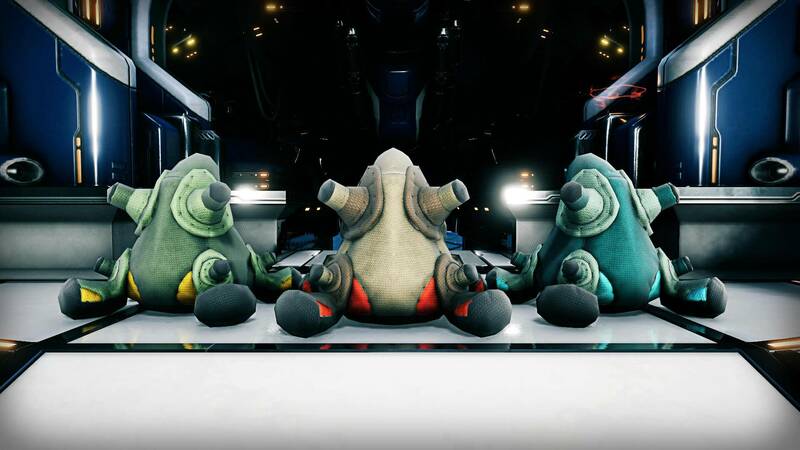 Fixed the Profit Taker Articula having incorrect poses/pose selection. You may find that your Articula has moved once this fix is live! 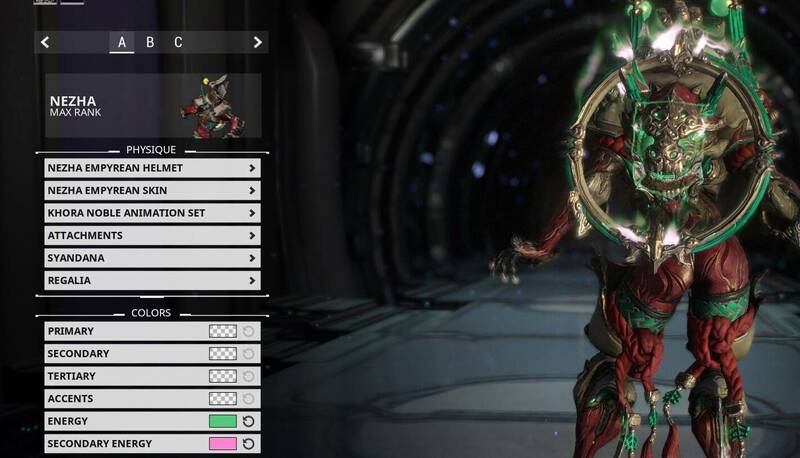 Fixed the Ki’Teer Arrow Skin particle FX always being red, despite your chosen Energy color. As a reminder from our previous post, Round 14 and Round 15 transfers are being handled a little differently than in the past: select items will be transferred after the PC launch, and we will evaluate transferring other items from the round, As the program continues to grow, adjustments like this will be need to be made periodically. As promised, with this batch of items out of the way, we are looking to transfer over a few more creations from Round 14. Once we have a solidified list, we'll share it with you all!